Simon Harris has said he instinctively believes we should look into whether unvaccinated children should be allowed to attend creches and schools, in the wake of multiple outbreaks of measles and the ongoing tsunami of the anti-vax misinformation. He also said last week that this is now being discussed at European level because it is recognised that sending an unvaccinated child to school is an "irresponsible and dangerous thing to do". He did, however, add while tweeting on the matter that there may be constitutional issues that prevent it from being implemented. Which makes me wonder, and not for the first time, if the Constitution is there to serve and protect the Irish people, or is it the other way around? The World Health Organisation a number of months ago described the anti-vax movement as one of the greatest threats to global health. Both Facebook and GoFundMe have recently announced they are trying to tackle anti-vax campaigns on their websites. But despite this, the conspiracy theories around life-saving vaccines continue to spread - ironically like a virus - in the fertile imagination of the internet. In parts of America, unvaccinated children have already been barred from schools as they struggle to cope with the highly contagious measles outbreaks that have swept the country. But the outbreaks have extended throughout the world, and measles killed 110,000 people globally in 2017. In many ways the MMR is a victim of its own success. People have forgotten how serious measles is - prior to widespread vaccination there were more than two million deaths from it per year. It is highly contagious, kills about two in every 1,000 people who contract it and causes serious side effects like pneumonia, meningitis and encephalitis. In developing countries it's often a lack of availability or affordability of vaccines that causes the outbreaks. However, in developed countries the main people who don't vaccinate their children are not the poor who can't afford vaccines, but the middle-class parents who naively believe vaccines are harmful and so actually choose not to vaccinate their children in the misguided belief that there is a greater risk from vaccines than there is from contracting life-threatening diseases. While you might argue that their children are their children and they are entitled to leave them unprotected against infections if they choose to, the difficulty is their children become a source of infection, contracting and spreading measles to other children who may be too young for vaccination, or indeed who have a medical condition that leaves them immuno-compromised and prevents them from ever being vaccinated. So, for example, if your eight-month-old baby is in a creche, they would be completely vulnerable to a measles outbreak in that creche, as they don't get the MMR until they're one. So if an unvaccinated toddler with measles attends that creche, your eight-month-old has an 80-90pc chance of contracting the life-threatening disease that is measles (because it's so contagious) even if they have very little contact with that toddler. All it takes is for them to be in the same room. And sadly, children under one who cannot be vaccinated are also the most likely to die if they do contract measles. I often wonder if parents are aware of this? 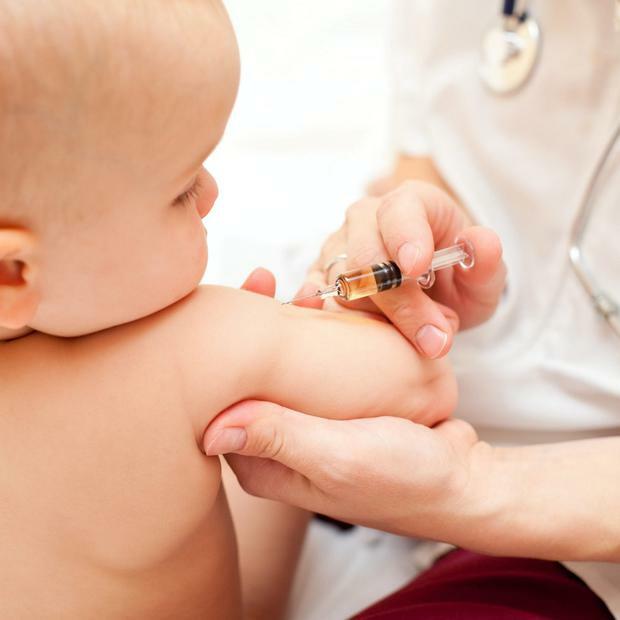 In Italy, after months of debate on whether or not vaccines should be compulsory, they have now brought in legislation making it mandatory for children in schools or childcare facilities to be fully up to date with their vaccines or they won't be allowed to attend. Australia has not only made vaccines mandatory for school-attending children, it has gone one further and brought in "no jab, no pay" - a set of financial sanctions and large fines on parents who refuse to vaccinate their children. Most importantly it has ruled out exemptions to this on philosophical or religious grounds, unlike America. Which begs the question - what should we do here? We, too, are seeing measles outbreaks here. As they continue, we, too, will see deaths from measles. We've sadly seen them before. Three children died in Dublin in the measles outbreak in 2000. I don't know about you, but I think if my child died from a vaccine-preventable disease because they were too young or too sick to be vaccinated themselves, not only would I be devastated. I would be furious. That someone else hadn't bothered to vaccinate their child because they hadn't properly informed themselves of the evidence that shows how vitally important and safe vaccination is, and then their child gave my child the measles, I don't think I would ever get over it. You aren't allowed to put your dog or cat in a kennels here unless they are vaccinated in case they give other people's animals a disease. Do we not think our children are at least as important as our pets? Measles is a vaccine-preventable disease. There is no need for anyone to catch it ever again. To wipe it out completely all we need is to get the vaccination level up above 95pc. That way we achieve herd immunity, because there aren't enough unvaccinated people left for measles to survive and spread through. Yet we keep seeing outbreaks happen. There needs to be a debate now on whether there is a valid reason why anyone should be allowed to refuse to vaccinate their children who then go on and become a risk to other children, too young or too sick to be vaccinated. And if there isn't, then let's get on and protect our children. And if you don't like it, well there's always home schooling.